June 23, 2015, 9:39 p.m. Within your eyes are multiple parts and layers that work together to help you see and navigate through the world around you. One of these parts is the macula. The macula sits at the back of your eye’s retina and helps to provide the clear and detailed visuals we’re used to seeing each day. Unfortunately, the macula is not impervious to health problems. And when problems develop with the macula, the consequences can be quite serious. Today, we want to highlight one of the major issues that can affect the macula: the development of a macular hole. 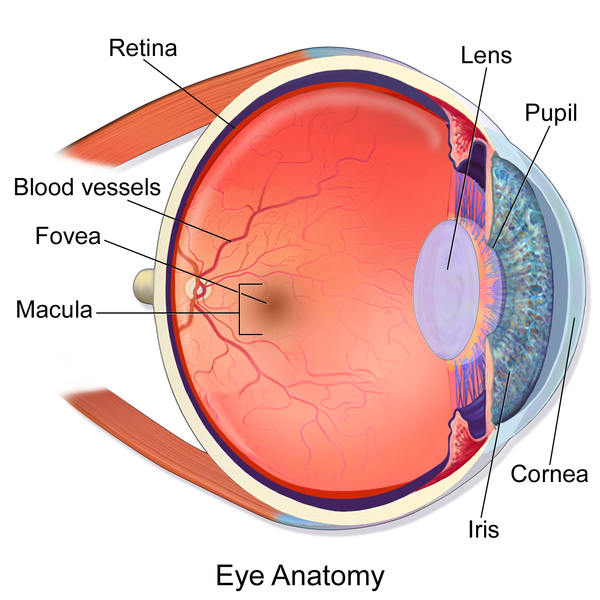 According to the National Eye Institute, a macular hole is a small break or tear in the macula. Macular holes are often caused when our eyes' vitreous (a gel-like substance that fills about 80 percent of the eye and helps it maintain a round shape) shrinks and pulls away from the surface of the retina. This shrinkage is a normal occurrence as we age and often has no negative effects. Unfortunately, in some cases the vitreous may pull too hard on the retina as it attaches. The result can be a macular hole. This process is also why this condition usually occurs in people who are over the age of 60. Diabetic eye disease, myopia, and similar eye illnesses and eye injuries can also potentially lead or contribute to the development of a macular hole. What are the symptoms and consequences of a macular hole? Macular holes can have serious consequences for our eye health and our vision. The macula works to create the sharp, central vision we rely on to help us walk, read, drive, and just generally navigate through our daily life. Unfortunately, damage in the form of a macular hole often leads to blurred and distorted vision, particularly centralized vision. The severity of macular hole symptoms is often determined by the size and location of a developing hole, as well as the stage it’s in; macular holes often advance in three stages, from Stage I (where the hole is tiny) to Stage III; stage III macular holes are particularly devastating on an individual’s eyesight, as most central and detailed vision can be lost at this stage. There is also a Stage IV where the vitreous is detached completely. A macular hole can even lead to retinal detachment if it’s not treated. Fortunately, in many cases, patients can take steps to have macular holes diagnosed and addressed early on, which can help prevent the major vision loss associated with this condition. What can I do to prevent this condition? Monitor for signs of trouble. Macular holes often develop gradually, giving you time to spot symptoms. Signs of trouble include distortions or blurriness, particularly in your straight-ahead vision. Straight lines or objects may also begin to look bent or wavy when you look at them. Finally, routine tasks such as reading may become more difficult due to your worsening vision. Any symptoms and vision issues should immediately be reported to your eye doctor. Schedule regular eye exams. While it’s important to watch for symptoms that may signal a developing problem, it’s just as important to schedule regular eye exams, even if you currently have no vision issues. Your ophthalmologist can test for macular holes and may very well catch one in its earliest stages. Once a diagnosis is made, your ophthalmologist can take the appropriate steps to ensure that the hole heals. Depending on the severity of the hole, your eye may heal naturally and on its own; surgery may also be required to fix the damage. While macular holes can be a serious condition to deal with, the good news is that regularly working with your ophthalmologist can help you keep your vision healthy and continue to see clearly for years to come. 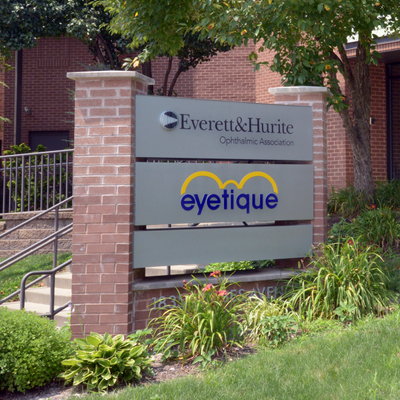 If you still have eye care related questions, or you’ve realized you’ve overdue for an exam, we invite you to get in touch with us here at Everett and Hurite – we’ll happily work with you to ensure that your vision and eye health is where it should be! Aug. 11, 2015, 2:47 p.m.